The 23rd Praetorian Imperial Guard: Rourksis Prime and the plaguestorm incident. Rourksis Prime and the plaguestorm incident. Rourksis Prime, Located in Segmentum Tempestus, was first discovered by an Explorator vessel in the middle years of M.36 marked as an excellent source of Promethium fuel from underground deposits of degraded plant material, Rourksis Prime has also become known for it's secondary export of exotic game animals that are shipped to various noble families around the Segmentum for sport or personal zoological facilities. The death world came to greater attention during the closing years of M.40 when their planetary tithe went unaccounted for. The admisitratum sent out a survey team to audit the planet and discover the truth behind the missing shipments. what they found was a growing collective of un-sanctioned cults worshiping "the gods of the jungle." a request was sent out and an Inquisitor of the Ordo Hereticus set out for the planet. The Inquisition arrived to find a sizable contingent of Dark Angels space marines vessels in orbit and were informed the the cults had been cleansed. Indeed Inquisitors on the ground could find nothing remaining of these cults save for the burnt husks of entire settlements razed by the vengeful marines of the first legion. All was well with Rourksis Prime until 3489986M.41 when once again the Imperial tithes began to slip behind. 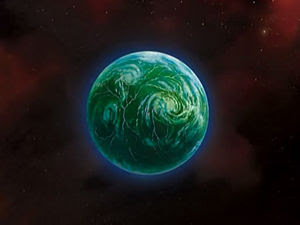 Initially the Planetary Governor requested the aid of the 13th Praetorian Imperial guard due to their experience with jungle and forested environments. However the 13th had been deployed to another war zone and the Lords of Praetoria felt that immediate action needed to take place. It is likely due to the high numbers of game animals imported from Rourksis Prime to Praetoria for the noble houses that the Lords of Praetoria acted so quickly to ensure the Inquisition didn't descend upon Rourksis Prime. Inquisitorial which hunts so often involve obliterating native species that are deemed harmful and this would have force the Praetorian nobility to spend even more to import rare animals from further worlds. The Praetorian 23rd under the command of the cantankerous Col. Soulban was recalled from it's duties hunting eldar pirates and immediately re-deployed to Rourksis Prime. The mission was to take control of the Rourkstead spaceport, the planets only functional spaceport, and seek out the source of the disrupted tithes and snuff it out. Thought for the Day: Love thy work for it betters you. Like it! Very nice 'in character' fluff - looking forward to subsequent instalments!